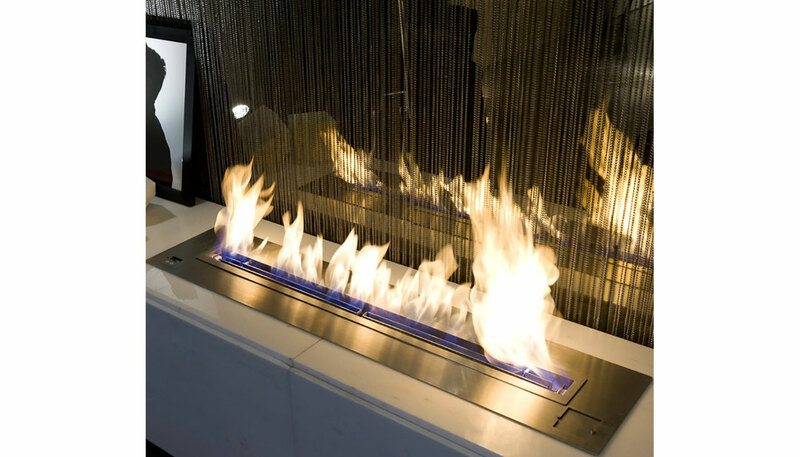 The fireplace hearth BL range is fire in its purest state, domesticated by AFIRE. Brushed stainless steel blocks of combustion line which can be embedded easily and quickly. It is an electronically secured fire that starts simply by remote control, via the button on the burner or via a dry contact for home automation, Wifi, Smartphones applications, remote button, etc.